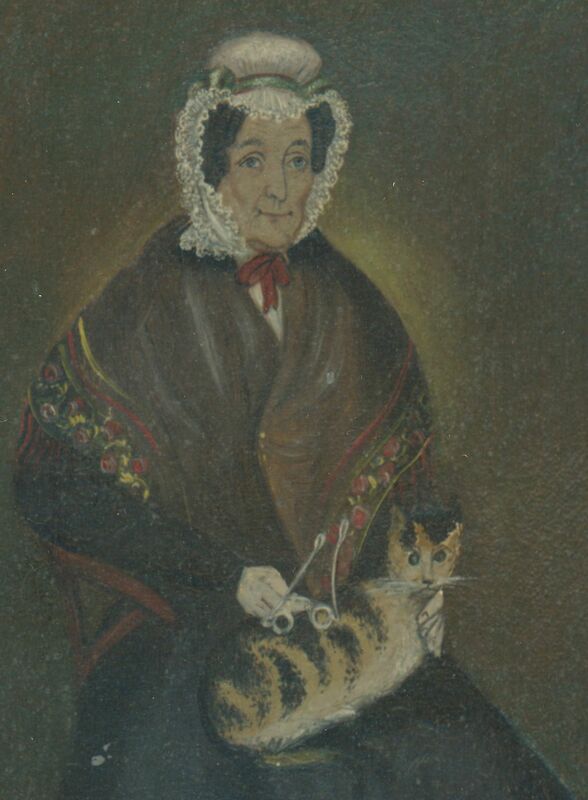 A fun pair of naive ¾-length portraits depicting a mature couple. 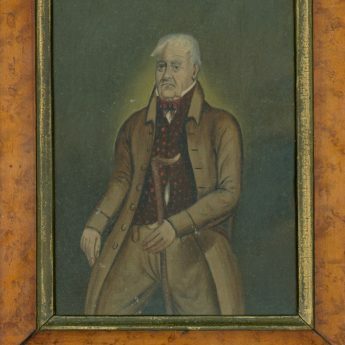 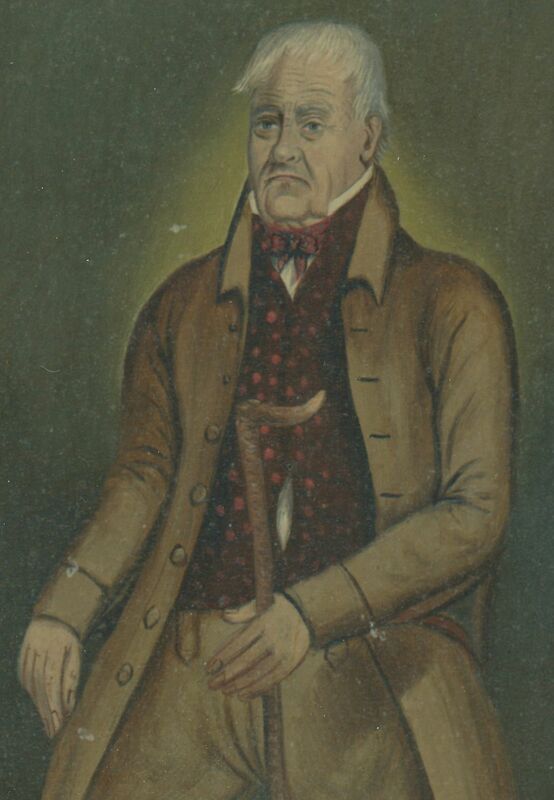 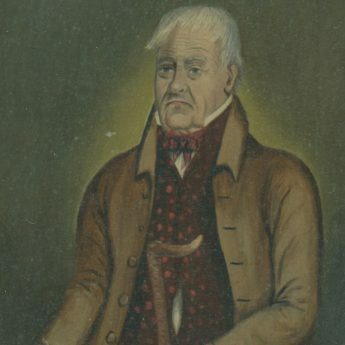 The grey-haired gentleman is seated holding his cane and is wearing a buff-coloured coat over a red spotted waistcoat and colourful neck-tie. 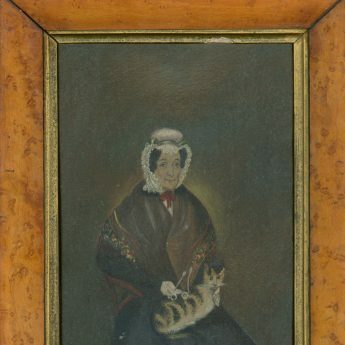 His wife is wearing a black dress and white mob cap, her shoulders covered with a brown shawl with a floral border and fringe. She is holding her silver spectacles in one hand and cradling a magnificent startled-looking tortoiseshell cat on her lap. 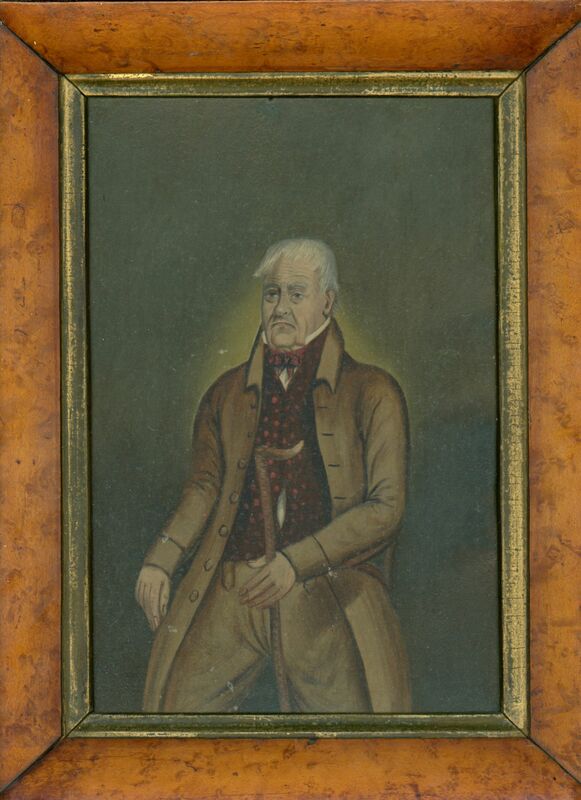 Painted in oil on tin, the portraits are housed in matching flat profile bird’s eye maple veneer frames with gilt slips. 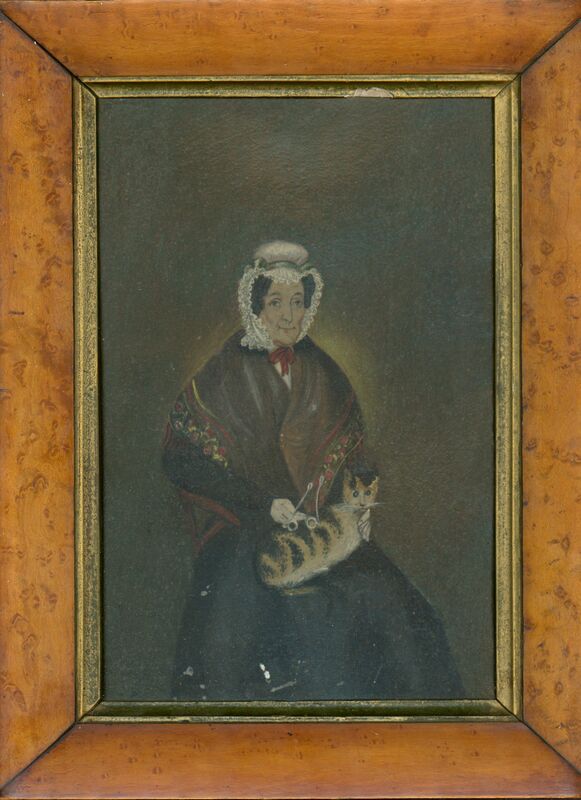 Small paint losses to both paintings and a small area of damage to one slip but otherwise in fine original condition.